A plant has sprouted on the moon! China made history earlier this month by being the first Earthlings to land on the so-called dark side of the moon (the side that never faces Earth). Now they have a new and even more stunning announcement: they’ve managed to be the first to ever grow a plant there. 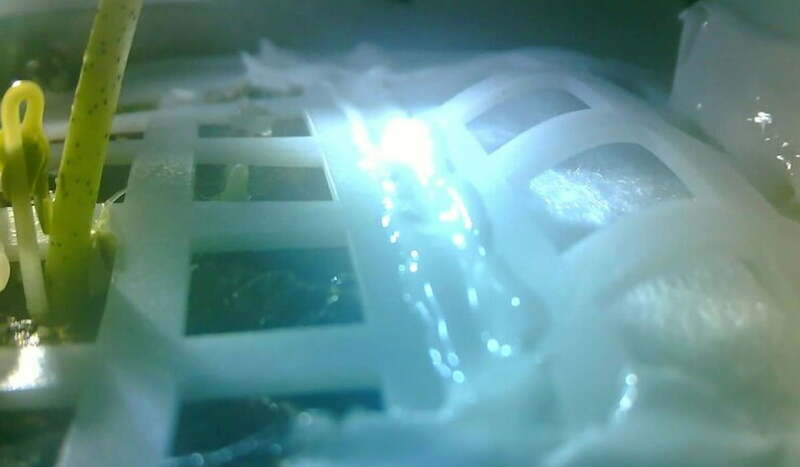 On January 15th, The Chang’e-4 Moon lander sent back images of a cotton seed sprouting in a mini biosphere experiment. It’s just one of China’s many fascinating lunar experiments that are, frankly, putting the American space program to shame (an issue that has more to do with politics and funding than anything else). According to the journal Nature, the astronauts are trying to build a mini biosphere to test the possibility of creating larger self-sustaining biospheres on the moon. The China National Space Administration released the photos of the new cotton shoots which seemed to be growing alongside other germinated plants. According to the South China Morning Post, the head of the experiment, Professor Liu Hanlong, said the cotton seeds were the first to sprout, but there were also rapeseed plants and potato seeds growing as of Saturday. The scientist who designed China’s moon ecology experiment, Professor Xie Gengxin, said that 6 organisms were chosen for the journey (besides humans): cotton, rapeseed, potato, arabidopsis (or rock cress), yeast, and fruit flies. That latter could mean that we’ll soon get news of the first birth of an Earth creature on the moon as well! Liu chose these organisms for his micro-ecosystem because each would take on a role as either “producers, consumers and decomposers.” The plants, sealed inside a strong, radiation-proof canister, will produce oxygen and food in order to sustain the fruit flies. Natural Earth light in specially-designed tubes is present to encourage photosynthesis. The yeast will then help decompose dead plants and waste from the flies to create additional food sources. It’s a brilliant and elegantly simple design. 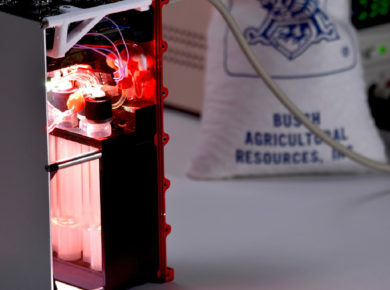 Liu also mentioned that these were key ingredients for the success of any simple human habitats in space, since potatoes can act as a food source, cotton could be used to make clothing, and rapeseed could be a source of oil (at the moment we use this high-protein oil on Earth for consumption as well as fuel). The Chinese are the first to show how serious they are about studying the survival of humans in space and take concrete action towards a future space base for human habitation. Previous experiments have been conducted on the International Space Station to try to grow potatoes and thale-cress, but the researchers concluded that while these could grow in controlled ecosystems in lower gravity, they would not grow in a place with gravity as low as the moon. Now China is proving them wrong. Just the day before this big announcement, China’s National Space Administration announced their plans to launch 3 more lunar missions, with the next (the Chang’e-5) blasting off before the end of 2019 and hoping to return with lunar materials for Earth experiments. For many Americans, this has been an embarrassing revelation and one that must be particularly disappointing to NASA’s underappreciated and undersupported engineers. Maybe it’s time we start thinking about the importance of funding our space program, improving our relations with China, or taking care of the planet we already live on, otherwise we’re likely to find ourselves out of the loop when it comes to space travel and extraplanetary back-up plans.